As you may have realized by now, I am a geek and therefore a reader. In fact, following Indian films for the past six or seven months has seriously cut into my reading time. But as a literary fiction addict and a new inductee into the world of Indian film, I was particularly thrilled to notice that three Man Booker Prize*-associated novels are perfectly compatible with film enjoyment and over the past couple of months I have eagerly devoured them. If you are in love with the beautiful Himalayan setting of films we’ve discussed in this blog like Professor, Barsaat Ki Ek Raat, The Blue Umbrella, Jab We Met and Jo Jeeta Wohi Sikander, as well as in the hundreds of other Bollywood productions and item numbers filmed there, try reading The Inheritance of Loss by Indian-born, US-based novelist Kiran Desai (Man Booker Prize winner, 2006). Set on the India/Nepal/Sikkim border during a Ghurka uprising in the mid-1980s, Loss is simultaneously a girl’s coming-of-age story, a meditation on the changes time has wrought to a particular Anglicized lifestyle, the plight of the not-well-educated NRI in America and the horrors of political turmoil, all with loving descriptions of the gorgeous local landscape and buildings. Sai Mistry is 16, a British-educated Indian girl living with her retired grandfather in a crumbling yet still elegant house outside of Kalimpong. She is in the flush of first love with her tutor, a local Nepalese youth sympathetic to the Ghurka cause. Her grandfather is very bitter, raised to expect certain things as a Cambridge-educated man in pre-Partition Delhi but having had to settle for the life of a rural judge in the Himalayas. Lack of funds has led them to dismiss all but one servant, their cook, whose life savings has just been given to his son Biju so he can emigrate to a better life in New York. Unfortunately Biju, with little education and virtually no English, can only find hard labor in the city’s ethnic kitchens for minimal wages as he moves about evading the INS and learning that America is not the land of opportunity it’s cracked up to be. As the novel progresses, its chapters alternating in perspective between Sai and Biju, we learn about the grandfather’s upbringing and early adult life, the circumstances under which Sai came to live with him, and the lives of other village denizens, all of whom have in common a reduced quality of life, shattered dreams and uncomfortable reactions to the swift changes Indian culture is undergoing. 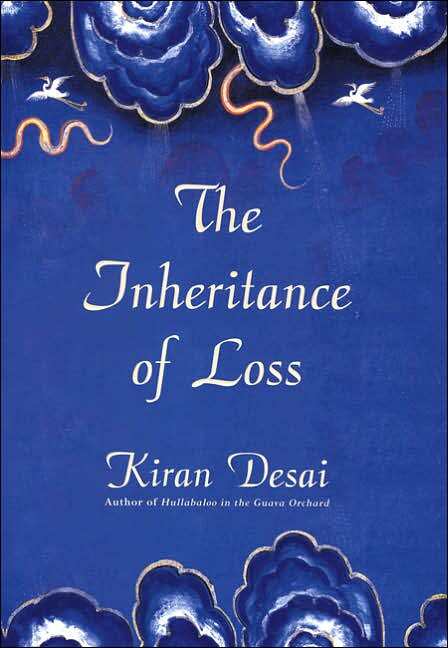 I found Loss beautiful and touching, not a little sad, the language at times a thicket of imagery requiring some time to penetrate, but ultimately a testament to the human spirit. To my (admittedly little) knowledge there are no plans to turn the novel into a film, but if there were, I can easily see Sanjay Leela Bhansali, with his love of rich fantasy-like detail as is evident in films like Devdas, as the perfect director. 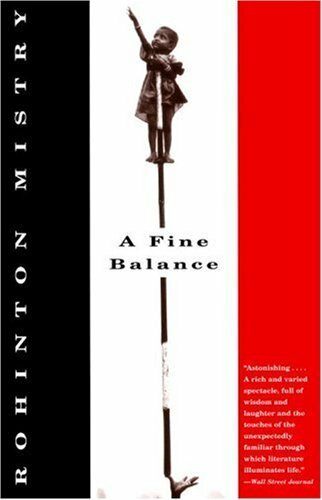 If you enjoy the reality-based, epic-feeling films of Deepa Mehta or the intimate characterizations directed by Aparna Sen, you might enjoy Rohinton Mistry’s A Fine Balance (Man Booker Prize shortlist, 1996). Between the main characters’ detailed backstories (often including those of their parents as well!) and the epilogue, the novel encompasses episodes, often horrific, of both village and city life from the 1920s to the 1980s. However, the main action takes place in the course of about a year starting in 1975, at the beginning of the Emergency declared by Prime Minister Indira Gandhi that had the unintended consequences of terrible human rights atrocities. Mistry himself was born and raised in Bombay, and emigrated to Canada as a young man in 1975 during the Emergency. Dina Shroff Dalal is a middle-aged, middle-class Parsi woman, tragically widowed in her youth, who takes in a college-student boarder and runs a small (two-worker) garment factory in her house in order to make ends meet and stay independent of her controlling older brother. Her boarder, Maneck, is the son of a fellow Parsi school friend, the friend having moved to the mountains upon her marriage and reluctantly sent her son to the “city by the sea” (never named, assumed to be Bombay) to get a certificate in the up-and-coming field of refrigeration and air conditioning. (remember: 1975!) Her workers are Ishvar and Om, a Hindu uncle-and-nephew pair, who have been ostracized from their village for having dared to independently upgrade their caste from cobbler to tailor. They are also suspect among their fellow Hindus for their utter lack of hatred towards Muslims. All of the main characters are emotionally damaged but they have inner strength; the tale of how they live (the Ishvar-Om sections are heartbreaking), learn to trust and even love each other, and rely on each other to survive a politically, economically and socially difficult historical time, is ultimately uplifting and the stuff of the serious end of Indian films. AFB is very easy to read, with clear language that is nevertheless evocative, a tight plot and familiar dialogue. Since this is literature, astute readers will notice certain minor characters and devices that form circles and arcs, teach lessons and support the main story in exceedingly artistic ways. A warning: if upon reading this book you internalized the characters and the time period, and understood (if maybe not liked—I guarantee that you will experience some anger) the incidents which came upon them at the close of the main action, you might want to skip the epilogue, which looks in on the characters in the year 1984. It is very difficult to read. I admit that I cried a little. The novel has been adapted into a play, but I think it would work extremely well as a film. If I were casting it, I would tap Shabana Azmi to play Dina, Imraan Khan as Maneck, Naseeruddin Shah as Ishvar and for Om…well, find me a scowly teenager, nothing remotely chocolate about him, with a flaring anger and resentment of the world. 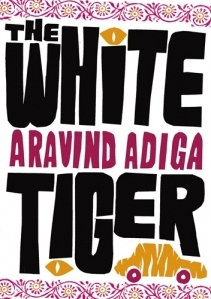 If you like smart-mouthed and cynical modern heroes (and anti-heroes) such as those played by Shah Rukh Khan, check out The White Tiger by Anglo-Indian novelist Aravind Adiga (Man Booker Prize winner, 2008). A present-day, first-person narrative written as a series of letters to the Chinese president by a snarky youth, Tiger details the pervasive corruption, casteism, and just plain lack of funds that combine to block a young man’s entrepreneurial dreams. The ways he uses his wits and a willingness to break longstanding cultural taboos in order to get ahead are as entertaining as they are shocking. Balram Halwai, who we learn on the first page is an admitted murderer, begins his autobiography as a clever boy living in a village in rural Bihar, nicknamed “White Tiger” by his schoolmaster for the way he stands out from the other children yet unable to camouflage himself and his gifts within the prevailing culture. Poverty forces him to quit school, and he uses his imagination (and not a little fakery) to upgrade himself to the job of driver in the household of a wealthy landlord. The landlord soon asks him to drive for his son, who is moving to New Delhi, and this wider view of the world both intrigues and disgusts Balram. The resourceful Balram becomes even more aware than he was of the extremes of Indian society and the causal relationship of corruption to wealth and power. Ultimately, he realizes that the only person looking out for him is himself and if he wants a piece of the “new India,” he has to let go all of his previous assumptions about morals and do whatever is necessary to achieve his desires. And there you are. Three literary novels that may deepen your appreciation of Indian films–or that your love of Indian films might excite you more about. In a way I hope none of them make it to the screen—I much prefer the scenery in my head as I read than to subject my vision to that of someone else, no matter how excellent it might be. I have several other works in a similar vein scheduled to read and comment on, so consider this the first of a (mercifully short) series. Jenny and I have also vowed to read (or in my case re-read) Salman Rushdie’s Midnight’s Children and comment on it before it comes out as a film towards the end of 2012. *The Man Booker Prize is a 43-year-old, annual and very prestigious award for contemporary fiction written by citizens of British Commonwealth countries plus Ireland. The selections are known for their high literary quality as well as their accessibility to general audiences. The 2011 award should be announced soon. Great recommendations. I feel like SRK is a little too old to play Balram, but I’m not sure who I’d pick instead. Another BW fan recommended “The Marriage Bureau for Rich People” by Farahad Zama, and I’ve been pushing it on other people ever since. There are two more books in this series- they aren’t out in the US, but I was able to track them down through some online book places that sell books from the UK. Thanks, DDL, that book is going on my Goodreads list right now! I also believe SRK is too old to play Balram. I was thinking maybe Ranveer Singh might have enough seasoning by the time the actual production rolls around, since he’s starting to break out of romantic roles. He has that foxy, snarky face that the character requires. Very nice list…darn you…now I’m going to have to finish reading Inheritance of Loss…where did I put it?? They all sound very good. More procrastination coming, I foresee. Gotta love IndiaGlitz (NOT)…went via your link to read about Mukul Deora, and after I got past all the pop-ups, etc…I was almost convinced by the author’s tip-toeing and misdirection that Mr. Deora had been involved in Slumdog among those other high-profile films. Perhaps they were meaning to say that all those films came from well known books, like White Tiger…but then just say so! Sheesh….as if Bheja Fry 2 isn’t enough of a claim to fame! The Mukul Deora link is kinda old…didn’t Bheja Fry 2 actually flop? and I don’t think Deora was involved in the original that was the hit. So I’m not really holding out much hope for the film version of the book unless the cast is spot-on and they get an awesome director. Ah, once again my highly-tuned, dry, perhaps parched would be better, sense of the sarcastic has been missed. The author of the article seemed to be trying to puff Mr. Deora’s importance, when he’s only been involved with that one film, and as you said, it wasn’t very well received. Still, stranger things have happened….Susan Lucci winning an acting Emmy, for instance. Gotta give her one for persistance, I guess. Regarding The White Tiger, Jenny passed on this episode of “Dinner and a Book”: http://www.youtube.com/watch?v=IpDWl4aiAMY Such fun! !